DELIVERING YOUR MINISTRY OR BRAND MESSAGE TO A PURPOSE DRIVEN AUDIENCE. 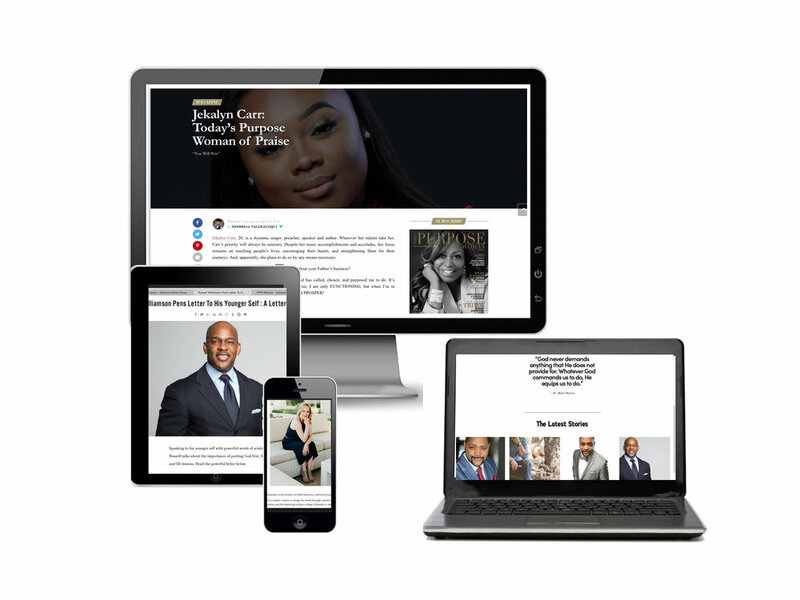 Promoting Purpose is a premier faith-based media company that produces high-quality content that provides inspiration and strategies for purposeful living and connects ministries and purpose-driven brands to purpose-driven readers through advertising solutions. A purpose driven AUDIENCE THAT WANTS TO CONNECT WITH PURPOSE DRIVEN BRANDS. With a combined social following of 50K+ consumers, Promoting Purpose offers ministries and purpose-driven brands ads, advertorials, social media posts, and ministry/business directory listings through its influential online/websites: Today's Purpose Woman and Today's Purpose Man. Print is still alive! Elevate your brand or ministry in Promoting Purpose Media's influential bi-monthly print magazine-Today's Purpose Woman. Readers are purpose-driven women who anticipate each printed issue knowing they will receive inspiration, strategies on living a higher purpose and the opportunity to connect with ministries and purpose-driven brands through professional ads and advertorials. To create a balance between technology and tradition, the print magazine has a digital edition giving readers, brands and ministries the best of both worlds. Briefly tell us about the ministry, brand, service or product you're interested in advertising. Please include any additional questions below.